Russian State Chamber orchestra Moscow Virtuosi plays Wolfgang Amadeus Mozart’s Oboe Concerto in C major, K. 314. Oboe: Alexey Utkin, Conductor: Vladimir Spivakov. Year: 1991. 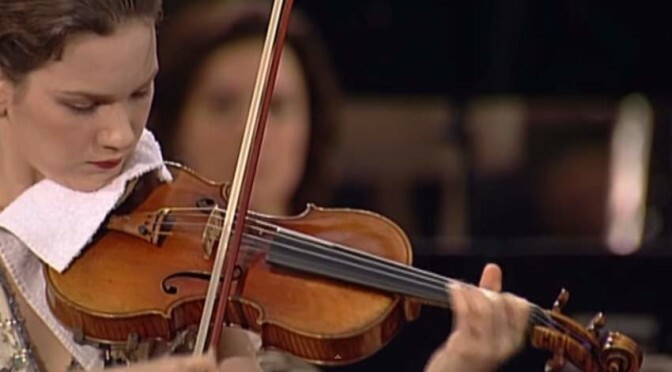 Accompanied by the Stuttgart Radio Symphony Orchestra, American violinist Hilary Hahn performs Wolfgang Amadeus Mozart’s Violin Concerto No.3 in G major, K. 216. Conductor: Gustavo Dudamel. 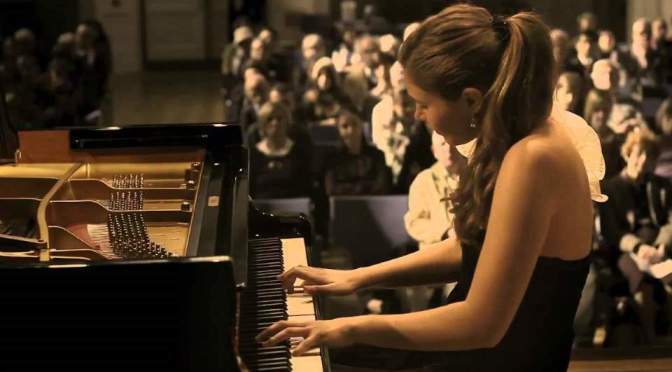 Accompanied by the Freiburger Mozart-Orchester (Freiburg Mozart Orchestra), Ukrainian-born classical pianist Valentina Lisitsa plays Wolfgang Amadeus Mozart’s Piano Concerto No. 20 in D minor, K. 466. Conductor: Michael Erren. Filmed live May 20, 2012, Freiburg in Breisgau, Germany.